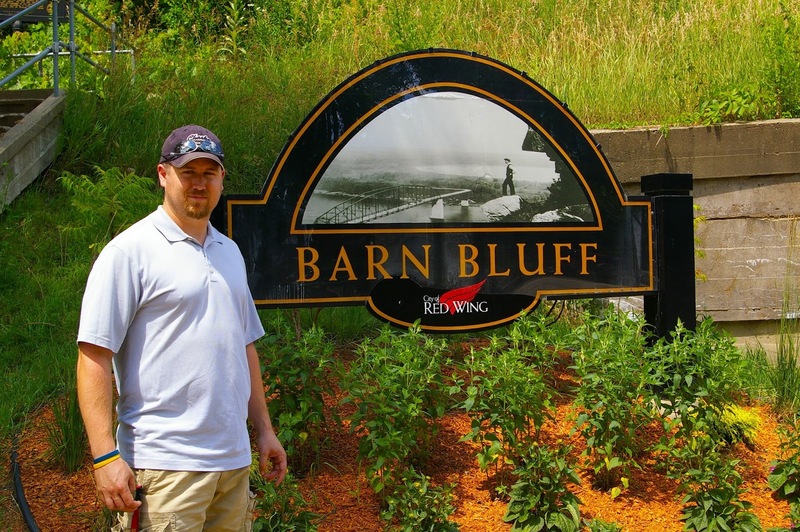 In Red Wing, alongside the Mississippi River, people have the opportunity to explore Barn Bluff. Historically, the bluff has served the purpose of being a visual reference for explorers along the river. 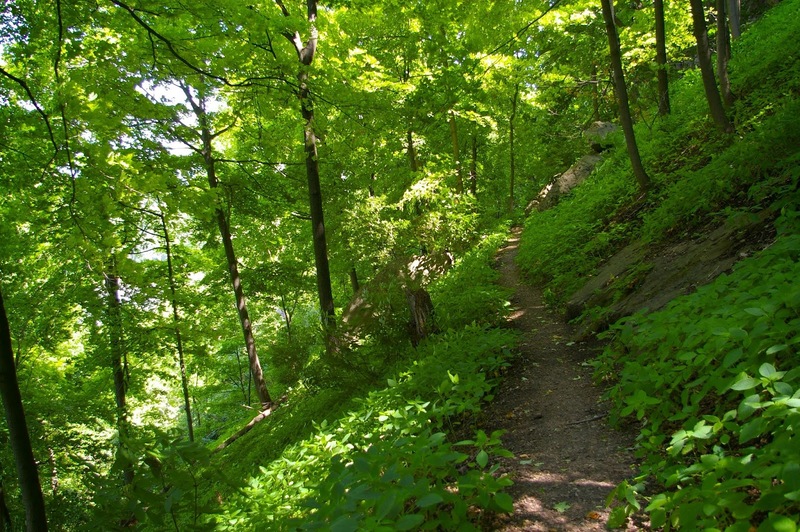 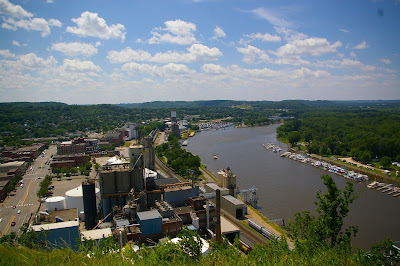 Today, visitors can hike a several mile trail to the top of the bluff (the steepest areas have stairs) for some very interesting views of the Mississippi River and the city of Red Wing, but be careful, as recently as the fall of 2011 a woman fell to her death. 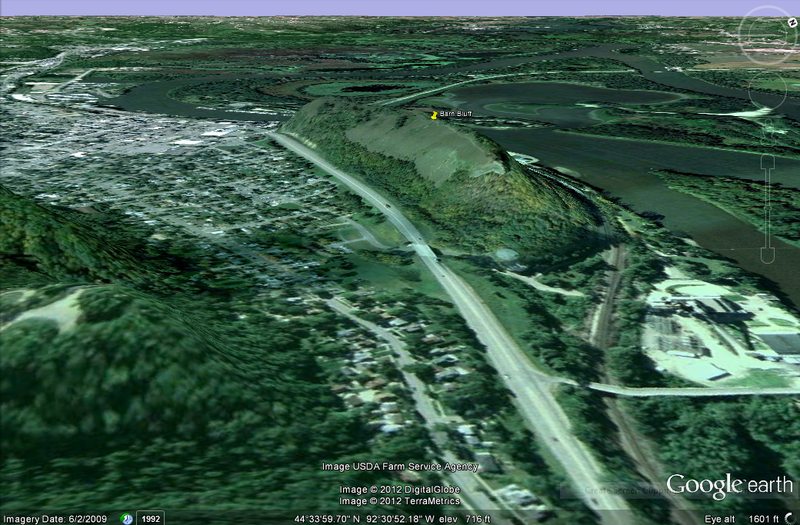 The Google Earth images give a sense of Barn Bluff's location in respect to Red Wing and the Mississippi River. 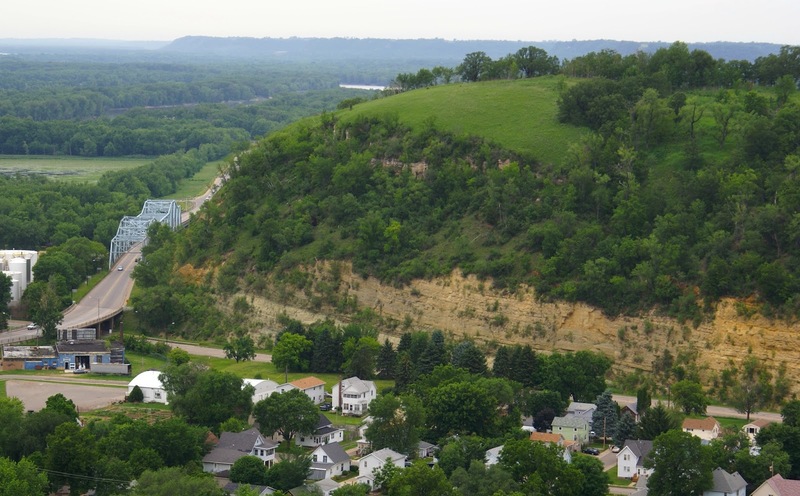 Barn Bluff stands approximately 350 feet above the valley floor. Barn Bluff was formed as Glacial Rvier Warren carved the Minnesota River valley the Upper Mississippi River valley's. 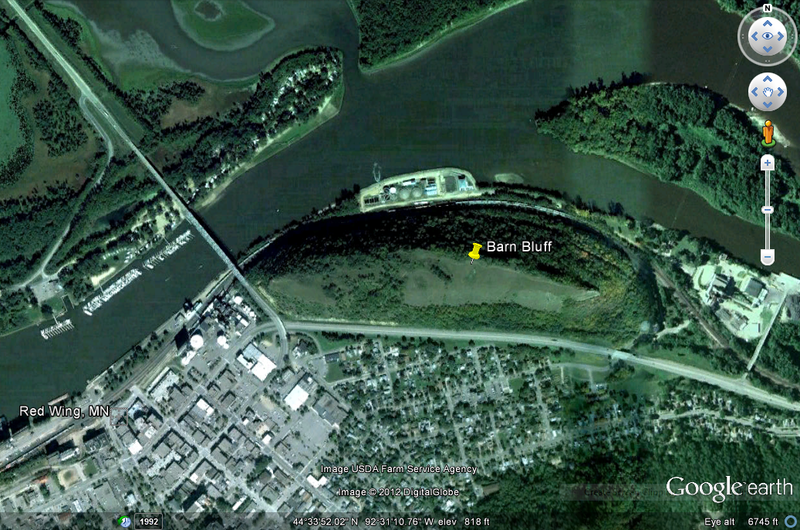 During this point, Barn Bluff would have stood out as an island within the much larger river. Barn Bluff is comprised of nearly horizontal laying strata deposited in an ancient ocean during the Paleozoic Era. 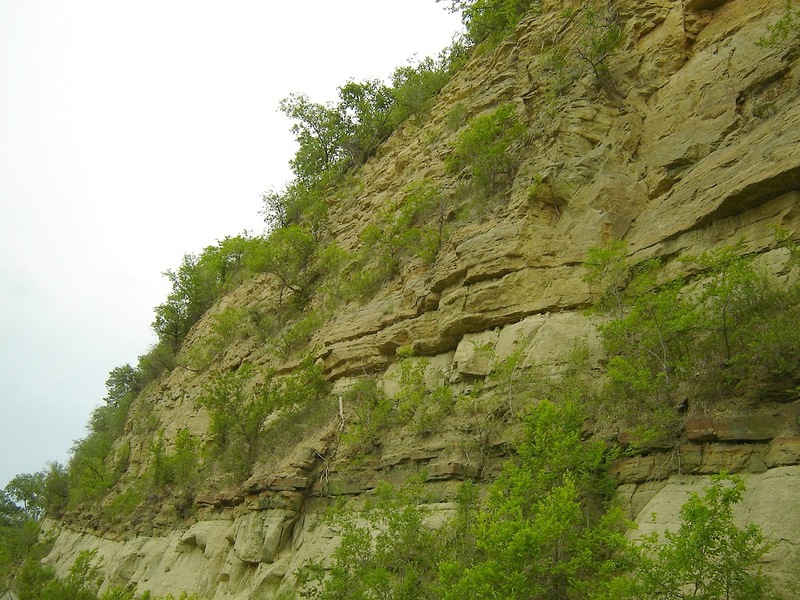 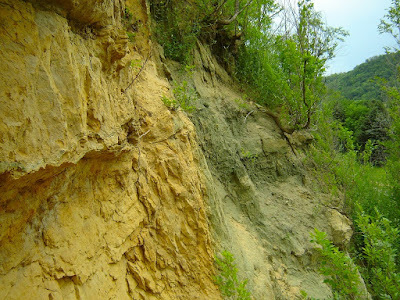 The uppermost layer or top bluff is the Oneota Dolomite of the Prairie Du Chen Group. Below the Oneota Dolomite are several layers of Cambrian sandstones, including the Jordan Sandstone and glauconitic sandstone of the Franconia Formation which has now been included in the Tunnel City Formation. 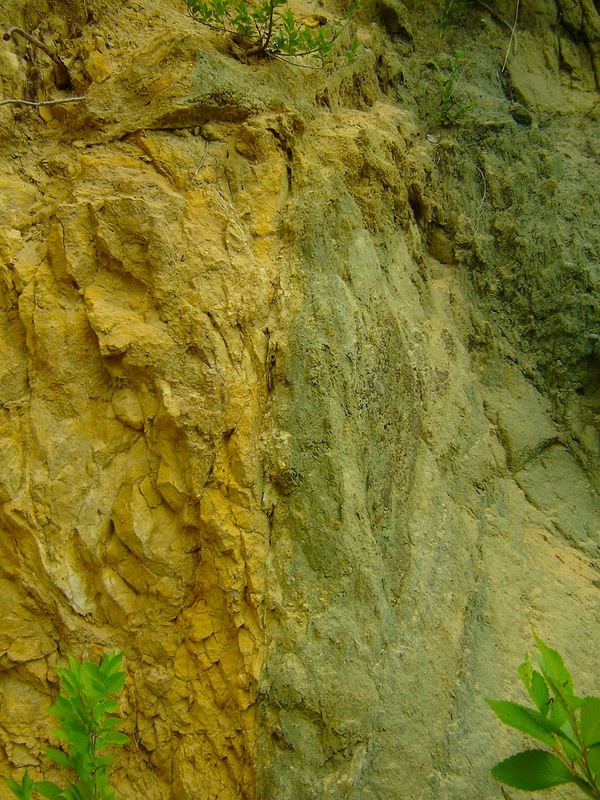 This sandstone takes it's green color from the mineral glaconite, which is a green clay mineral. 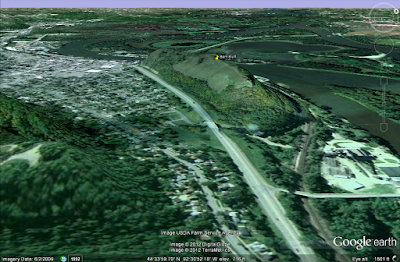 Near the intersection of US 61 and MN 58 is a normal fault called the Red Wing Fault. 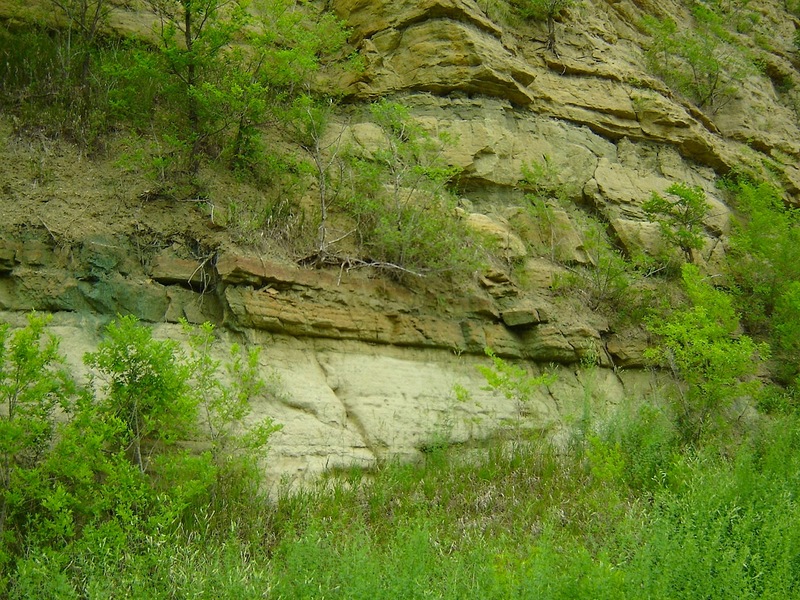 Here the uppermost Cambrian Formation, the Jordan sandstone, has dropped 125 feet to lie adjacent to the glauconitic sandstone of the Franconia Formation. A well marked parking lot near the southern end of Barn Bluff is the starting point for hiking to the top of the bluff. The Oneota Dolomite is also frequented by rock climbers in the area. Along several points of the trail, especially on the eastern (or river side), there is a very steep drop to the bottom of the bluff. 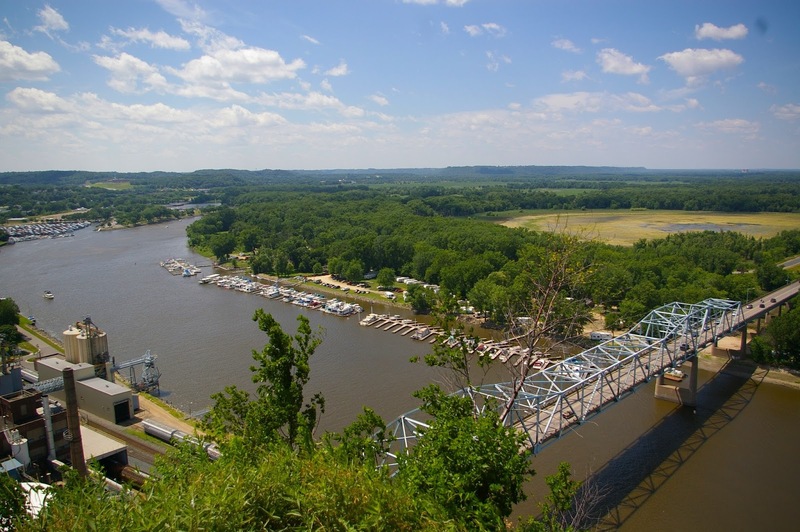 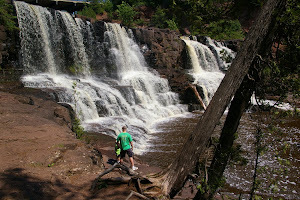 Though there are numerous great overlooks along the trail as well allowing you to view the Mississippi River. 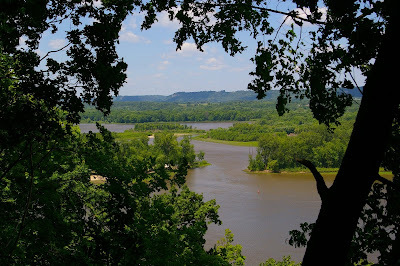 When you have finally reached the north end of the bluff, the views looking over Red Wing and the river valley make the hike well worth the time and effort.